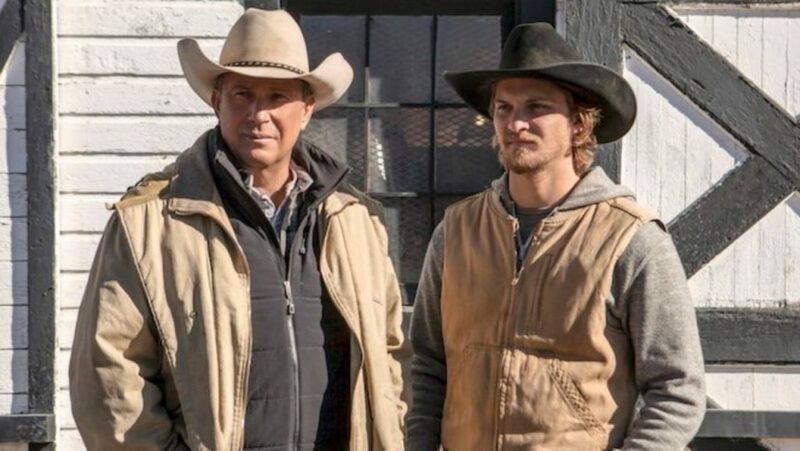 The Clan has been catching up to Yellowstone on Paramount on-demand. We’re enjoying the hell out of it, in all of its over-the-top, soapy glory. We got a new cast member in the episode we watched Sunday night. The Yellowstone Ranch foreman Rip Wheeler recruits a cowboy out of the Montana State Pen. I thought to myself, That dude looks a helluva lot like Ryan Bingham. That’s because it was Ryan Bingham. Perfect. This ain’t no place for kids. 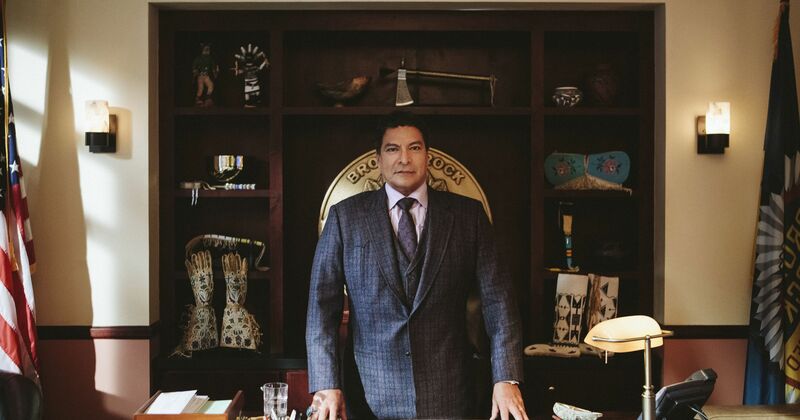 Sheridan has tapped Gil Birmingham again, for a role as John Dutton’s antagonist Thomas Rainwater, a tribal chief who has ambitions to break the Dutton family and reclaim vast tracts of land that belonged to his people. Birmingham was in both Hell or High Water and Wind River. There’s an excellent feature on him in the current issue of Cowboys & Indians Magazine. Quite a guy. Montana is magnificent, of course. The contemporary Western niche is pretty vigorous these days, which pleases me, hitting right on the Continuity & Perseverance themes that I’ve been framing my own stuff around for a while now. 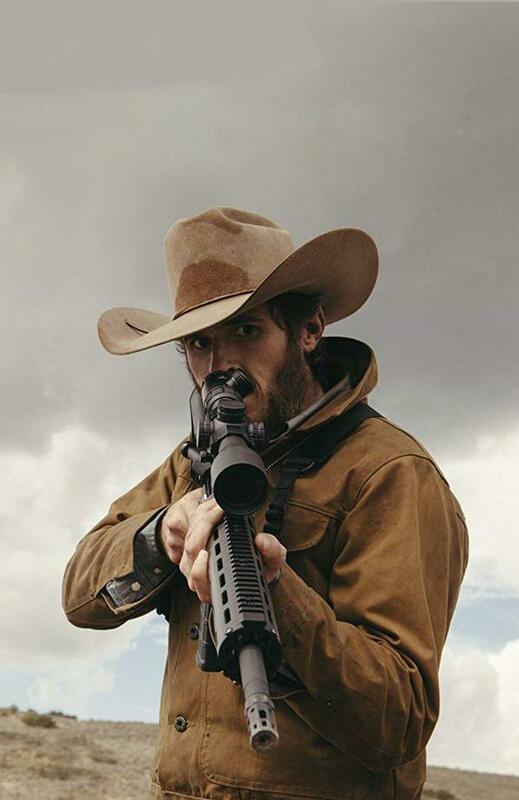 I kinda dig the cowboy-hats-and -assault-rifles thing. If you’ve got some time late at night, pour yourself a stiff drink, light a smoke and fire up this wild ride. Everybody needs a cowboy soap opera in their life. Popcorn at the ready. Gonna check this one out. Don’t know how it slipped by me. I was excited when I saw the trailer a couple months back. We want to watch it but unfortunately, it hasn’t arrived in New Zealand yet. It has but I’m originally from South Africa and the frontier history of the Voortrekkers is even more exciting but chances are good I might be bias. Still, I grew up on Louis L’Amour stories of the American West and I have always had a strong attraction to it. I suppose that is why I like movies like Open Range or shows like Longmire. Yellowstone is right up my alley. I’ve seen the first episode. It is a tad sudsy but I’ll likely watch more (Amazon Prime is still charging for it). There are a lot of good looking horses in it at least (ha). I like a lot of Taylor Sheridans stuff. Hell or Highwater is a great movie. The horses are as over-the-top as everything else. Glorious horseflesh.